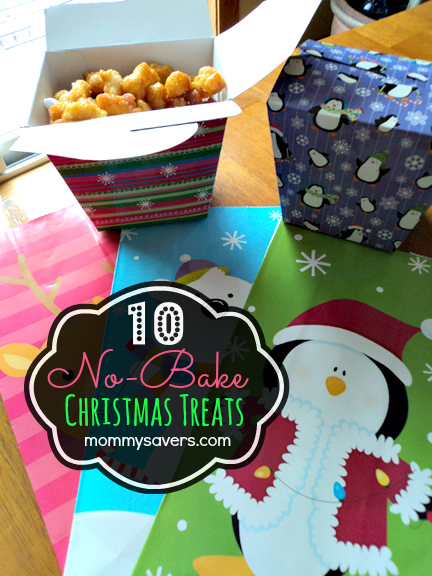 These no-bake Christmas treats will satisfy your sweet tooth in no time at all. You’ll only need a stovetop or microwave to prepare them. Plus, they’re easy for kids to help make. 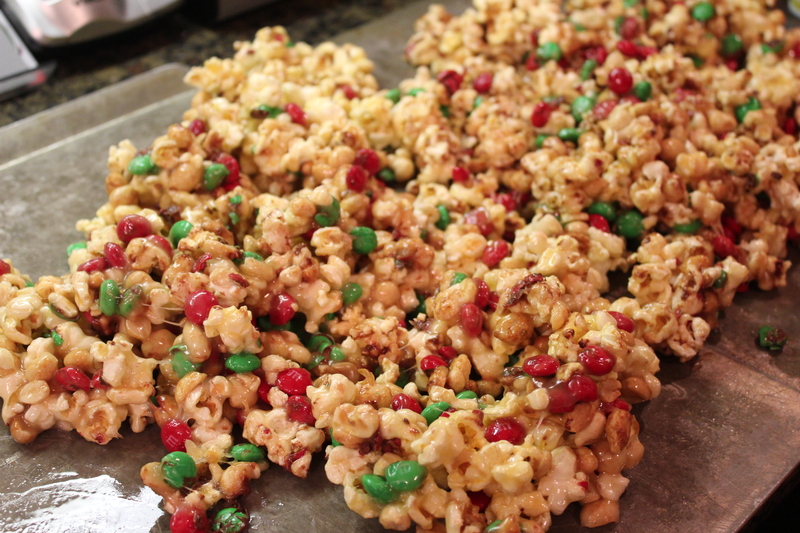 Caramel Puffcorn (pictured above) isn’t just for the holidays– kids and adults alike love it any time of year! However, it goes well in Christmas-themed cellophane wrappers and containers. Because there are no kernels in the corn, it’s a safer treat for toddlers and preschoolers to eat. Christmas Merry Munch is a treat that can be made at any time during the year, but it looks especially festive with the red and green Christmas M&Ms. You can adapt it according to your taste, too, adding in your favorite nuts or chocolates. 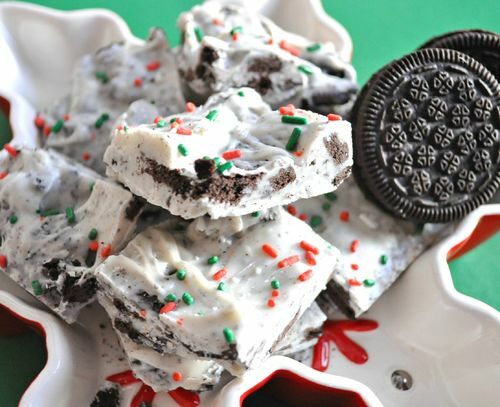 Christmas Oreo Cookie Bark is an easy, no bake Christmas treat that only calls for 2 ingredients and a few minutes of your time. Sprinkles make them festive. Substitute with store-brand cookies to save money. 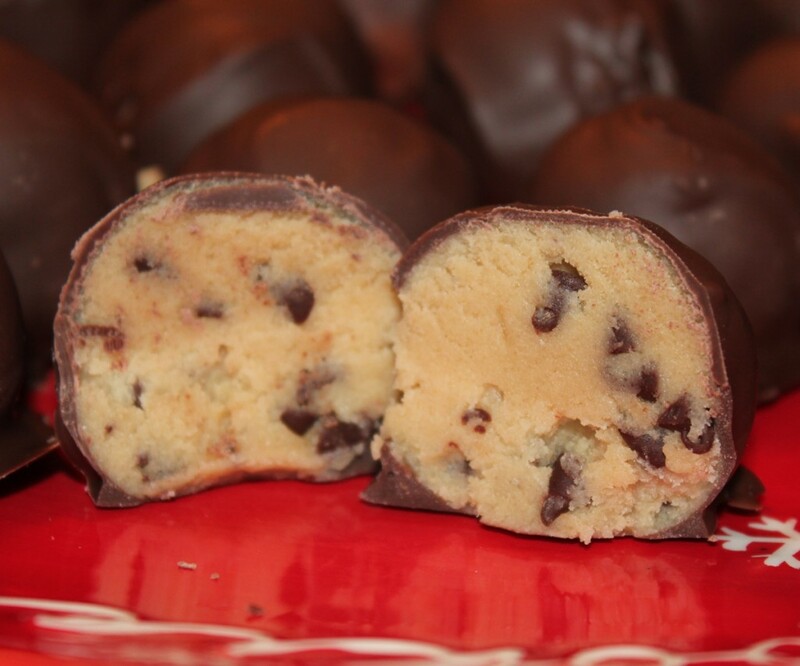 These Chocolate Cookie Dough Truffles will satisfy your craving for cookie dough without having to turn on the oven! Because there is no egg in the batter, no baking is required. 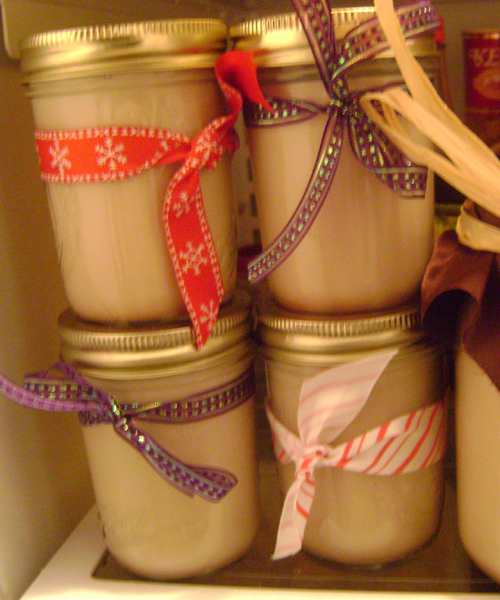 Homemade Bailey’s Irish Cream is a fun project to make, and give out as gifts! Be sure to do plenty of taste-testing as you go along to make it even more festive. This can be made ahead of time and stored in the refrigerator for up to two months. 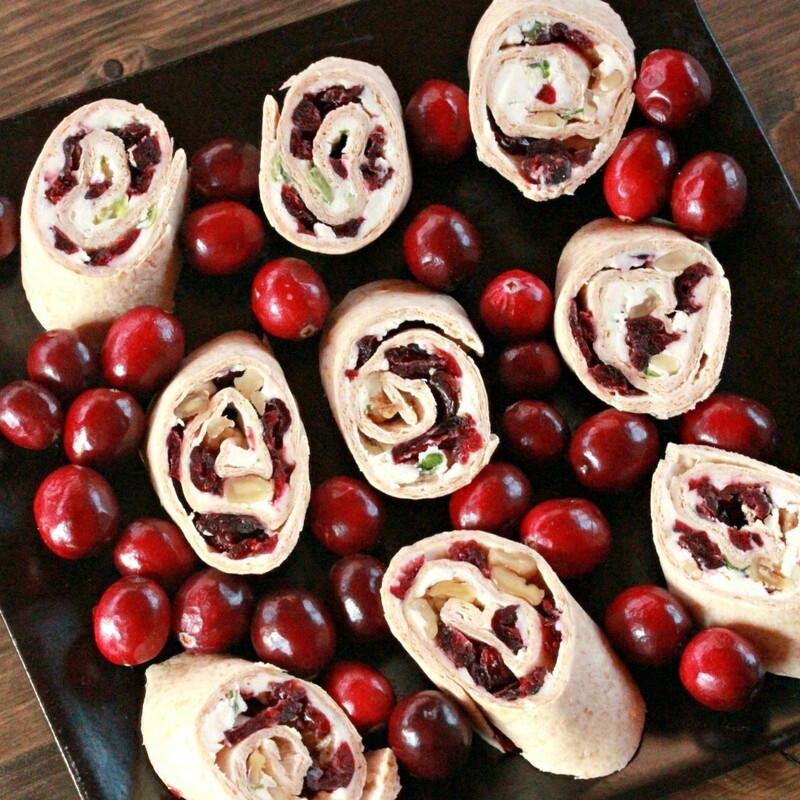 Cranberry Feta Pinwheels are a tasty, savory no-bake Christmas appetizer. Just spread the topping and roll ’em up, simple and easy! The cranberries and green onion are the perfect colors for the holidays, and your tray looks even more festive with fresh cranberries as a colorful backdrop. 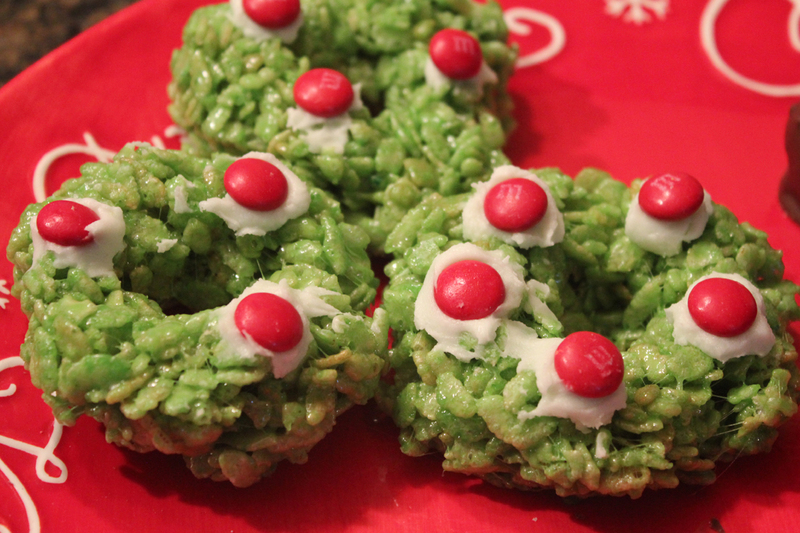 These Rice Krispies Holiday Wreaths were a treat my mom used to make when I was growing up. They’ve been around a long time, and are just as tasty now as they were back then. 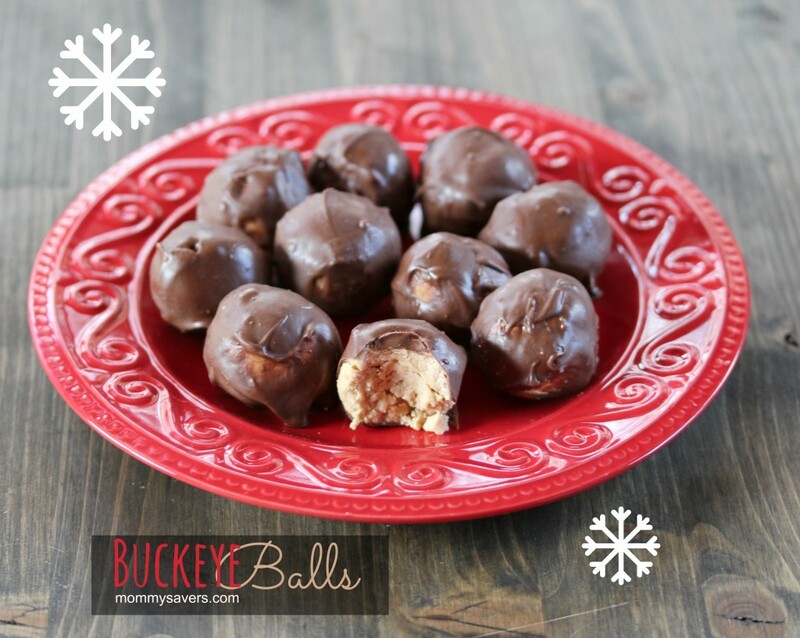 Buckeye Balls are a candy from peanut butter, butter and powdered sugar and dipped in chocolate. What’s not to like? They’re named for their resemblance to the nut of the Ohio buckeye tree. 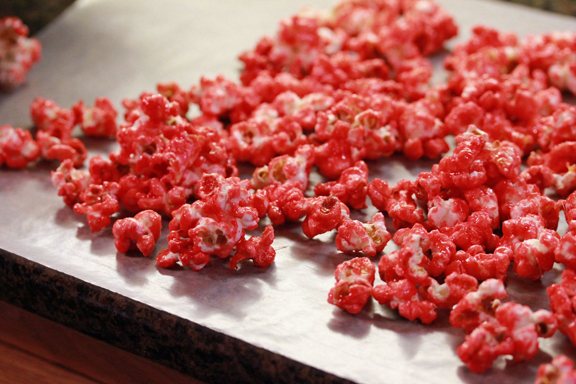 Jell-o Popcorn sounds strange, but don’t knock it ’til you’ve tried it! The one pictured above uses strawberry Jell-o. You could pair with lime Jell-O for your green, and mix them together once cooled for a red-and-green holiday combo. Experiment with different flavors and colors of Jell-o. 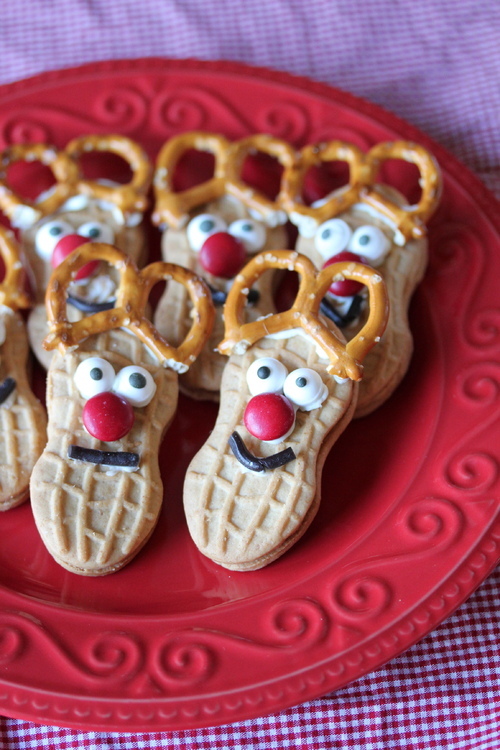 These Nutter Butter Reindeer Cookies are so cute, nobody will want to eat them! They use the adorable Wilton Candy Eyes we think are so cute. 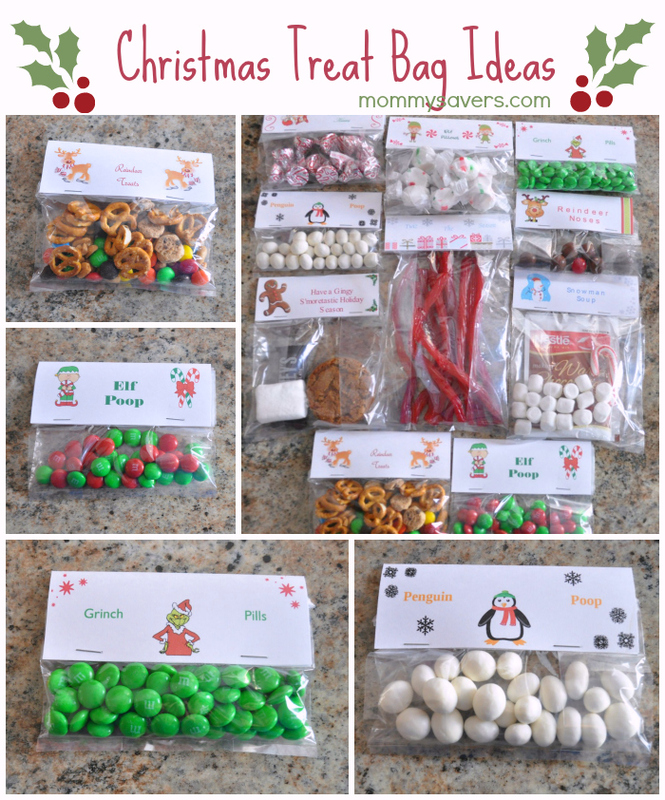 Christmas Treat Bag Ideas to give away your creations as cute hostess gifts, to bring to neighbors, to school, or other friends!